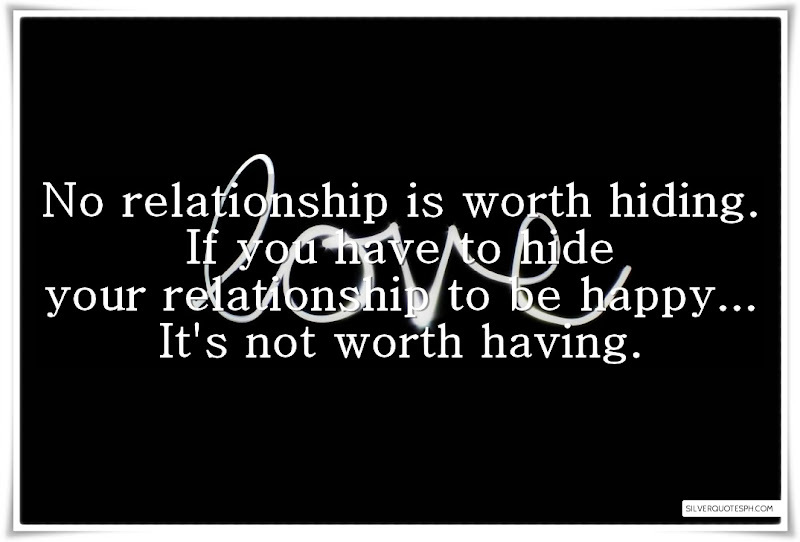 No relationship is worth hiding. If you have to hide your relationship to be happy... It's not worth having.